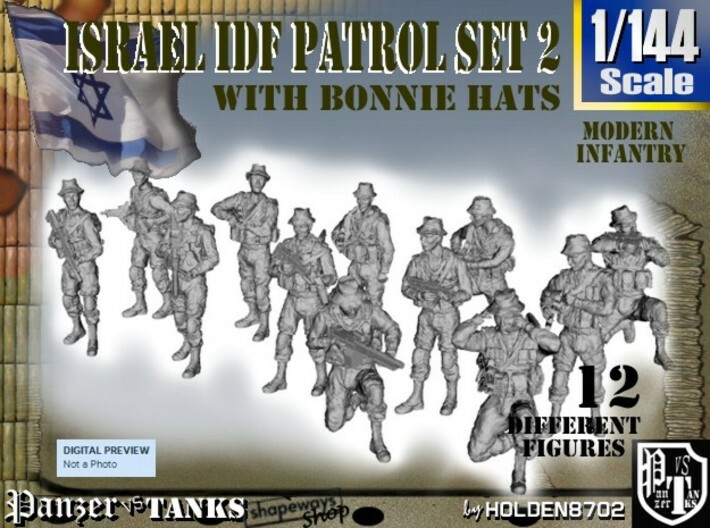 1/144 High detailed Modern Israeli Infantry 12 Figures Patrolling Set. 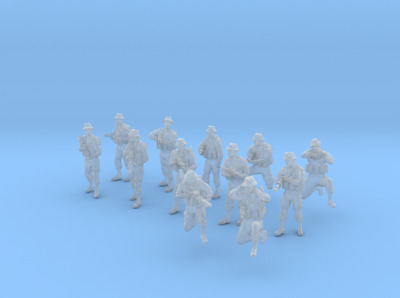 Figures carry CTAR-21 Bullpup Rifles, GTAR-21 with 40 mm. 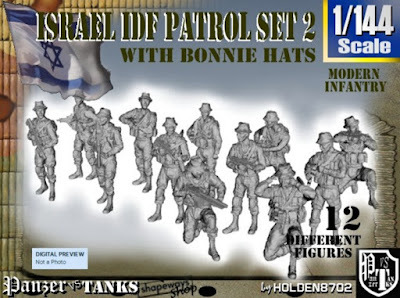 M203 Grenade Launcher device, or Negev NG7 Support Gun and cloth bonnie hats.